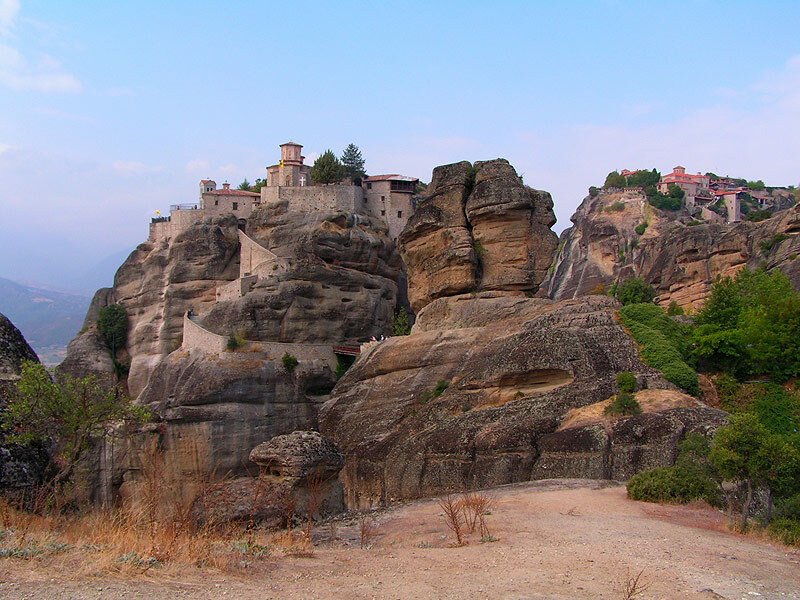 WHY TO GO: At the western part of the fertile Thessaly plain, huge and impressive sandstone rocks rise from the ground. 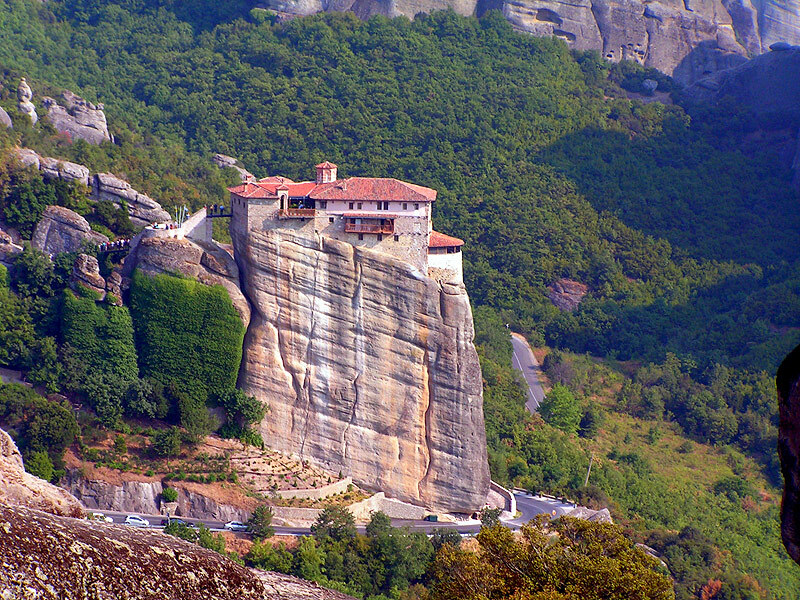 Since Middle Ages, on the top of the highest rocks monasteries were built by the people who wanted to be closer to God. There they lived, high above the ground, connected with the outside world only with rope ladders. That was centuries ago. 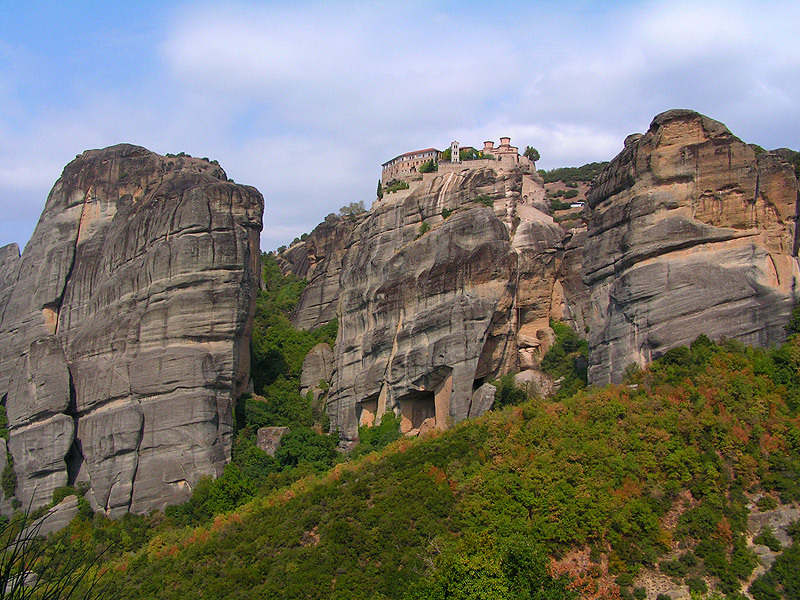 Nowadays, Meteora is one of the most popular tourist sites in the world. WHAT TO SEE: From twenty-four Christian Orthodox monasteries that existed here in the 16th century, only six are inhabited now. During our excursion, you will visit two of them – a friary and a nunnery. 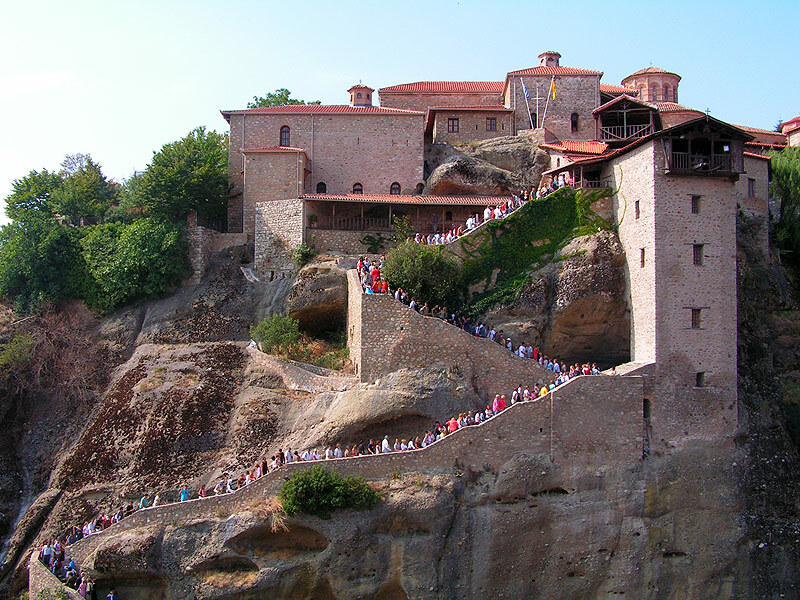 On our way to Meteora, we will also stop at Tembi Valley and peep into small cave church of St. Paraskevi and visit an icon manufactory in Kalambaka to discover the ancient proccess how the religious paintings are being made.